24 Hour Challenge accepted and a Wiccan Haus to boot. You'll be acknowledged as the freebee super queen. A great big virtual hug from me. Your choice between an ecopy of The Baby Contract or an ARC of Heart's Paradise when it comes available. The undying loyalty of your devoted readers. 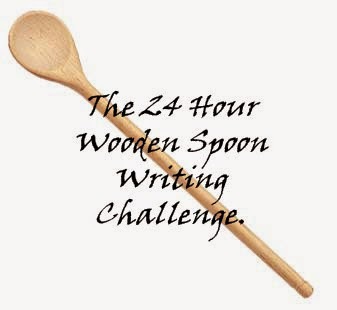 You'll also get to issue your own writing challenge to an unsuspecting writer! I saw this on Facebook and decided to try it...I can't make candy to save my life. Much like my character Rowena (but I can bake). Anyway I made this and it's simple and easy and yes its Way YUMMY!!!!!!! Directions Place chocolate chips, sweetened condensed milk, and butter or margarine in large microwaveable bowl. Zap in microwave on medium until chips are melted, about 3-5 minute, stirring once or twice during cooking. Stir in nuts, if desired.Pour into well-greased 8x8-inch glass baking dish. Refrigerate until set. While you are waiting for it to set check out my book. NOW AVAILABLE...The Earl and His Virgin Countess. After over a year of blood, sweat and a few tears. I can finally say that book four in the Sherman series is contracted and in edits. Spencer's story is finally being told but can he mend his broken heart or will Chance just be a bandage on his wound? No release date yet but stay tuned. I am currently working on the next Wiccan Haus book. Can't wait to get it finished and subbed as well. Need to catch up on the Sherman series. Here is the order. Cerise DeLand tells all in THE STANHOPE CHALLENGE, box set, 99 cents! Can a family be cursed to never enjoy happily-ever-after love affairs? 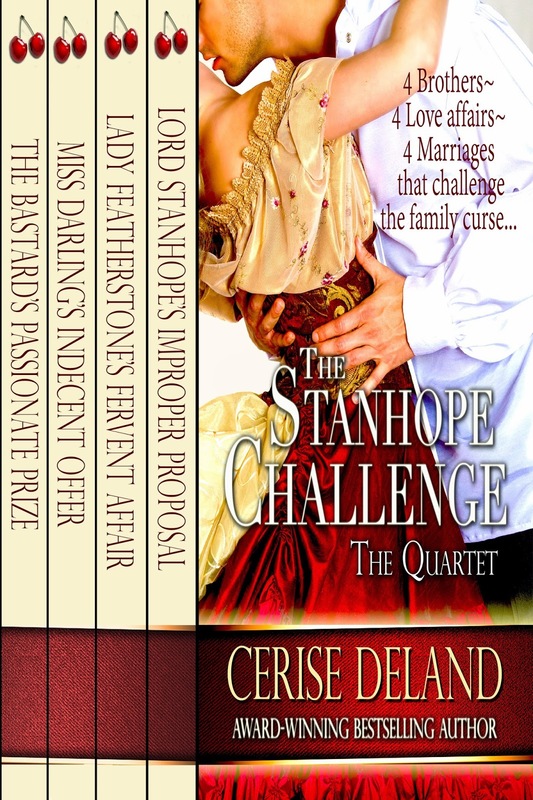 Cerise DeLand tells all in THE STANHOPE CHALLENGE, box set, 99 cents!